Developing future scientists takes dedicated teachers determined to make science fun, rewarding, and challenging. 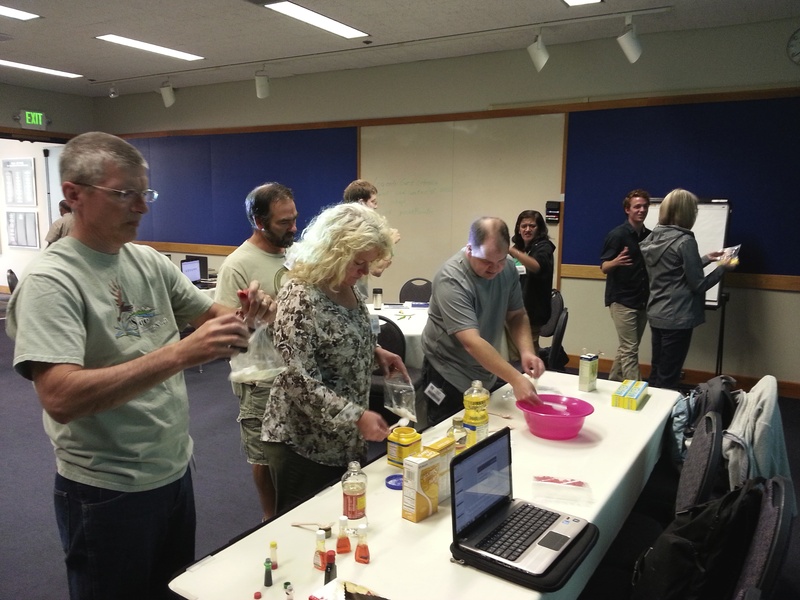 Oregon State University’s Science & Math Investigative Learning Experiences (SMILE) program, the Educational component of the Advanced Hardwood Biofuels Northwest consortium, provides teachers with resources to engage students in a variety of after school activities. Instructors come to OSU for two days of training to learn curricula, activities, and how to foster creative and innovative problem solving among students. “Our teachers work with students interested in math and science and meet with them weekly in a club setting,” said Ryan Collay, Director of OSU’s SMILE program. “Bioenergy is perfect for that. Supporting sustainable, ecologically sensitive, energy issues. All those conversations are interesting to students. They like knowing their ideas can make a difference,” added Collay. During the August workshop teachers engaged in problem-based activities they can use to introduce bioenergy concepts to their students. Through these lessons students will have opportunities to learn science concepts and design engineering solutions. One lesson involves students developing ways to convert one of the largest woodchip piles in the world, located near Medford, into useful fuel. An activity for middle school youth guides them through the process of designing a plant that covert wood chips into wood gas that can heat homes. High school students learn how to design a power generation plant that uses wood chips to generate electricity. 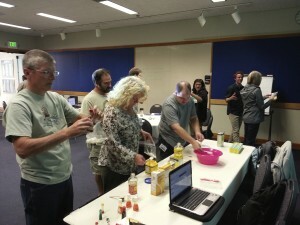 Teachers in Oregon learn how to make ethanol during a summer workshop. Currently 50 teachers are reaching some 650 students in rural high schools in Oregon. The program is geared toward under-represented youth who might not otherwise have access to expanded science, technology, engineering and math (STEM) programming and to prepare them for post-secondary education. Dickey sees many benefits for youth with the bioenergy curriculum. “It’s a new area of study where knowledge is being generated and students have a chance to get in near the ground floor. And, it has implications for societal decision-making that could contribute to solving energy and pollution concerns,” said Dickey. Favorite activities of students and teachers include the “Burn a Nut” experiment where the energy content of different biofuels is calculated to learn about the life cycle analysis of different generations of biofuels. The next teacher workshop is scheduled for January 30 and 31, 2015.